Conditions are dire following six days of heavy rain and severe flooding. Over 20 Houston area hospitals evacuated patients and/or temporarily closed, others operating under emergency conditions. Roads to the University of Texas MD Anderson’s Medical Center remain impassable. On Monday, employees were told to stay home until further notice. Entire neighborhoods and waterways are contaminated. Residents in flood-ravaged areas are in harm’s way, vulnerable to cholera, other bacterial infections, Legionnaires’ disease, mosquito-borne viruses, and other health hazards. The Texas Department of State Health Services warned of an emerging public health nightmare. “Avoid contact with floodwater,” it said. 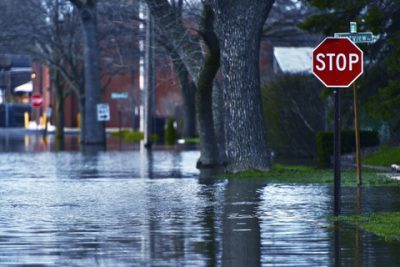 Good advice is hard to heed by countless numbers of people surrounded by water flooding their homes, streets and surrounding areas. On Monday, two reservoirs were drained, drinking water likely becoming mixed with floodwater, making it unsafe to ingest. Mayo Clinic physician James Steckelberg urged caution in handling food and medications exposed to flood or unsafe municipal water following a hurricane. Contamination from “toxins or germs…can cause illnesses, such as hepatitis or gastroenteritis” from E. coli bacteria, he explained. Other bacteria in floodwaters can cause diarrhea, vomiting, fever, stomach pain and dehydration. Bacterial illnesses are commonplace after major hurricanes like Katrina, Harvey and others – some cases causing fatalities. Bacteria can be ingested by inhaling airborne moisture droplets. Floodwaters make structures vulnerable to mold, especially in humid areas like Houston and surroundings with electrical power out. Mold spores risk serious health problems, including asthma, other respiratory problems, rashes and allergies. It’s mosquito season in Texas, standing water hospitable to them multiplying. Some carry serious viruses, including Zika and yellow fever. The nightmare caused by torrential rain and flooding won’t end when normal weather conditions return. It’s just beginning, given a continuing public health emergency and enormous task of rebuilding and restoring what severe hurricane winds and rain destroyed. The cost alone will be staggering. Households inadequately insured or without coverage are out of luck. According to FEMA data, Houston’s Harris County has 25,000 fewer flood-insured properties than in 2012, a 9% drop. Pasadena southeast of Houston is down nearly 20% – Baytown east of Houston down 22%. He estimates fewer than two in 10 homeowners with flood damage have insurance coverage. Tropical Storm Allison 16 years ago was the last area big one causing severe flooding. Uninsured homeowners thought they were safe, a costly mistake they’re stuck with. Featured image is from FierceHealthcare.